It’s a livestreaming, mixed-reality scavenger hunt, and everyone’s invited. Gorillaz are having a house party at 500 locations around the globe. The animated band -- brainchild of musician Damon Albarn (Blur) and artist Jamie Hewlett (Tank Girl) -- is hosting the unusual audio soirée for its upcoming album launch for Humanz. Just streaming the new music to its recently launched app isn't Gorillaz's style, so instead it's created a sort of musical scavenger hunt that's part Pokémon Go, part concert. The technical team that helped bring Hewlett and Albarn's vision to life is known more for working with the likes of Nike and Google than cartoon rockers. While located around the globe, it was B-Reel's London office and executive creative director Davor Krvavac's team that took on the slightly insane but definitely impressive app and its worldwide dance-party ambitions. "It was a sort of a sense of awe, really, because all of us here, we really respect what Jamie, Sheila and Damon Albarn have been doing over all these years in so many different manifestations," Krvavac said. Gorillaz are more than just a band. 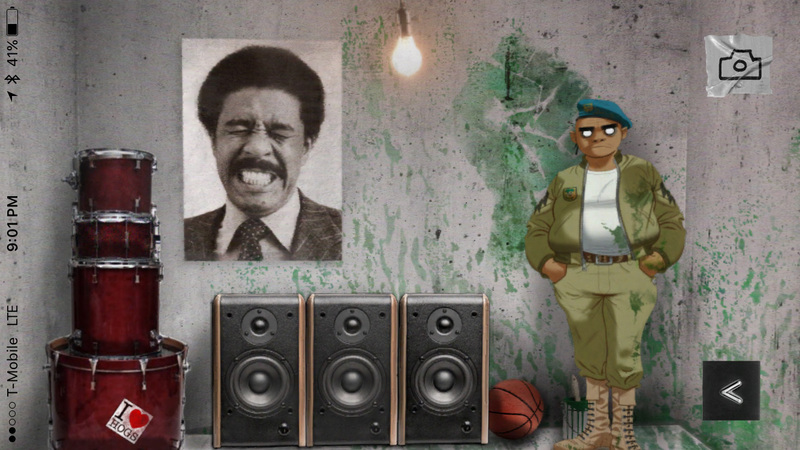 Each album mixes music, art and technology into interactive sites, games, movies, DVDs, live chats with cartoon characters, an upcoming show at an amusement park and concerts that fuse the live band with their animated avatars. The lead-up to Humanz is no different and if anything has raised the bar. The band has released a 3D music video, Twitter-moment "books" for each member of the band and of course the mixed-reality Gorillaz app. "It was a very different sort of creative process than we might follow as an agency with one of our branded clients," Krvavac told Engadget. "It's all about building trust, because the Gorillaz and the creative products of the Gorillaz, that's the crown jewels." 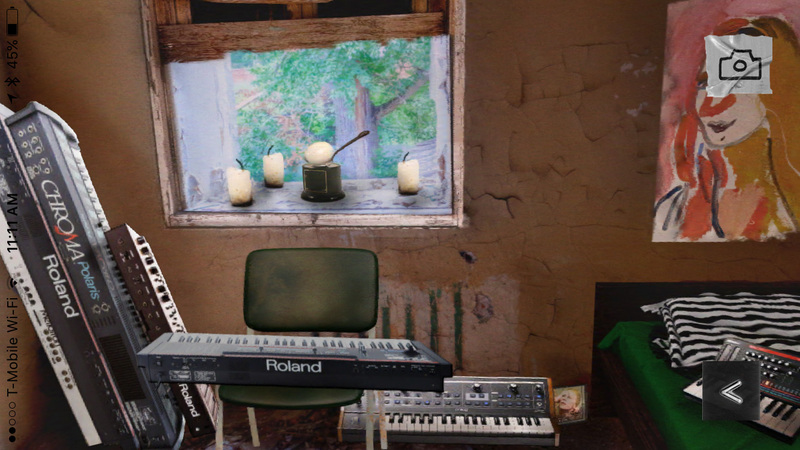 The two teams worked closely together on the app, which, like the upcoming album, places the Spirit House at the center of the story. The band handled the story and the art, and B-Reel handled the tech. "Of course they're super switched on and well aware of all the kind of developments that have happened in the six years since the last album. You know, AR, VR, all of that stuff," Krvavac said. 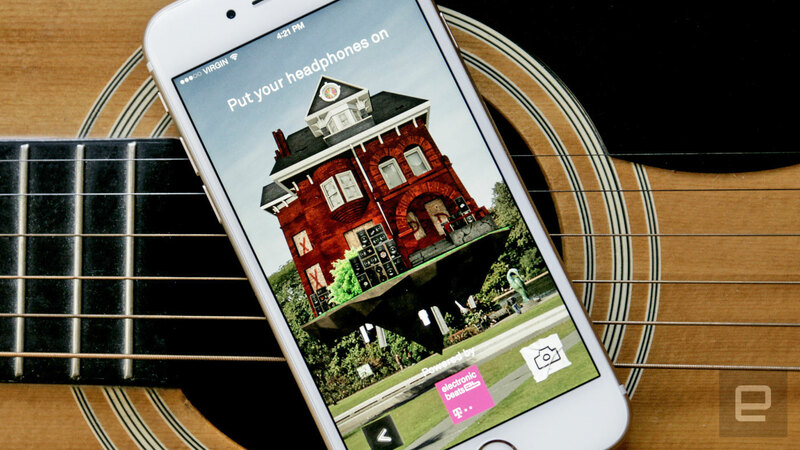 The result is an app that launches right into mixed reality with a vision of the real world overlaid with objects from each band member appearing as you spin around. It's a reminder that you're leaving your world and entering the band's domain. 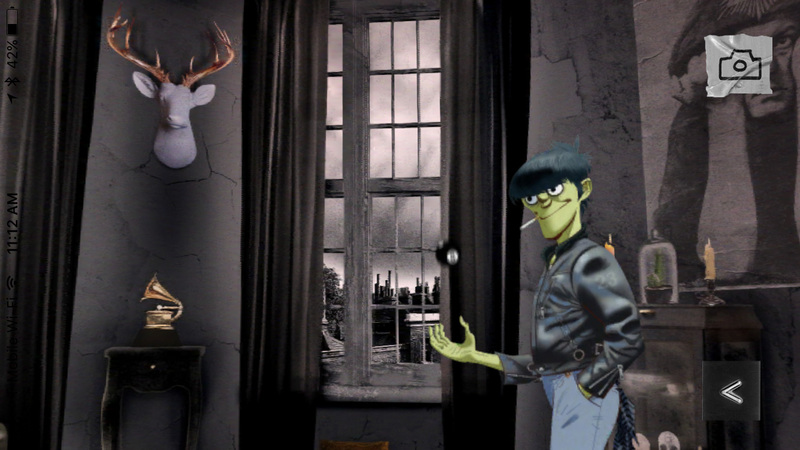 The dilapidated Spirit House has been overtaken by Murdoc Niccals, 2-D, Russel Hobbs, and Noodle, and users can explore the band members' rooms either with or without a VR headset. "It's all about discovery. It's all about immersing yourself into the story," Krvavac said. "Really early on we were talking about when you buy the bonus pack that comes with your vinyl or CD and you go over sleeve notes and all the little things to discover. Well, it's kind of like that. It's a mixed-reality kind of extension of their world that sort of spills over into our world, and I think the listening part is the ultimate sort of reward. Everything in the house essentially builds up to the actual location of the house and discovering it for yourself." The global listening party is live for the next three days. During that time, the app will guide fans with directions and distances toward the nearest geolocation of the Spirit House. It's bit like Pokémon Go, but instead of finding a tiny monster, you're rewarded with a stream of the entire album. With 500 locations all over the globe, most major metropolitan areas will be covered. Of course, the developers and the band added a challenge to finding the final digital jukebox. The directions lead you in the general location of the nearest Spirit House, but you'll still have to do a bit of sleuthing to discover the exact spot. Fortunately, Gorillaz's Facebook page has been dropping the longitudes and latitudes of various Spirit Houses to help you along. It's an ambitious endeavor for something that'll shut down on Sunday night. But the tech is there, and in the future it could be used for something else. "What I can tell you for sure is that the stream will cease with the actual launch of the album, but there are some ideas and thoughts about what happens with the house after that. So, you know, watch this space, essentially," Krvavac said. With all that's been invested into the prelaunch of the album, it'll be interesting to see what Gorillaz finally comes up with this summer when it launches for real. "They've always had to push the technology so hard and kind of invent new things in order to manifest themselves as a band," Krvavac said.